Do not think that advertisement, brand name or the being the only model available are only ways people chooses their beard trimmer. 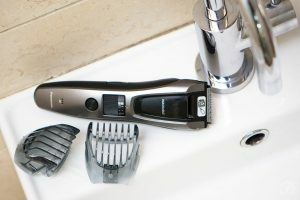 The beard trimmer is an important part of men’s grooming equipment and deciding which one to buy is a difficult decision, particularly because there are many of them in the market. Here are some factors that influences their choice. Referrals are becoming more significant than TV advertisements. You will see plenty of ads on TV but do not know which one to buy. If a friend or relative is mentioning you the product in person, that means they have personal experience and since they use it, their recommendation is helpful. Suppose you hear that one of your friend is saying that the Philips Norelco or a Braun one is easy to use and effective, you will jump into that product. Sometimes, storage becomes more important than you think if you are living with other members in the house. If you buy an attractive one such as the TRYM II, your partner will not complain about putting it on the bathroom counter. Some beard trimmers come with a storage stand while others come with a pouch. You can store them safely in drawers. Storing them is an important part of taking care of them because you will not be damaging them. It is a significant part of maintenance. It can be that a person has a favorite brand such as Wahl, Remington, Philips Norelco etc. After they break their current beard trimmer or it stops functioning, they can opt for a device from the same company but is a newer version. It is just the same like an Apple user switching to iPhone 7 from their iPhone 6. The new one is supposed to have better features and easy application with a stylish design and user-friendly interface. If you are looking for a beard trimmer, there are many features to look at, such as being waterproof, having stainless steel blades and a robust battery. What is most essential is the product being durable because you can have all the features you want but if you drop it once and it stops to operate, then you have to go out and buy another one. You have to spend a lot of money if you overlook durability. Ignoring to check if the product is durable or not can make you lose money because you have to buy over and over again. When looking at properties, durability comes first to most men who are aware of their money and belongings. While these are four important aspects, many men also look for value for money. You are paying a price so you want it to be fully functional and get the best out of your investment. This entry was posted in Beard Trimmer Tips on January 2, 2018 by Professional Beard Trimmer Reviewer.